There are a number of different types of loans and you will often find that a financial product that is suitable for one type of person is not necessarily the right choice for someone else. The general perception is that a loan is a loan and it is all about the same thing which is borrowing money. Whilst that may be the case to a certain extent, it certainly makes sense to get a bit more understanding of the different types of loans available, so that you can get the most out of your particular borrowing options and requirements. A personal loan is a financial product and being able to differentiate between the different options will help you to find the loan product that is most suitable for you and your circumstances. Most popular are unsecured loans, where there is not so much risk for the borrower when compared to a secured loan or a homeowner loan, where you could lose your property if you default on the payments. You might find that the interest rate may be lower with a secured loan but for many people, a small difference in the rate is not worth the risk facing a repossession if it all goes wrong. The vast majority of people take out a personal loan and do not experience any issues with repayment but circumstances can change and sometimes your credit history can be affected if you miss out on payments. You might also be someone starting out and not have much credit history behind you, which can make obtaining finance a bit more of a challenge, but there are loan products like guarantor loans from companies such as buddyloans.com which cater for most peoples financial situation, so it is a case of finding the right loan product to match your needs and profile. The key to finding the loan product that is just right for you is to find a lender that offers finance to people in a similar financial situation to yourself. Young people often start out these days with a student loan and also look to obtain an overdraft and maybe a credit card as well to help them through a period where their earning capacity is not as strong as it will be later. It is important to avoid overstretching yourself financially as this will be picked up by lenders who study your credit report as part of your application for a loan. 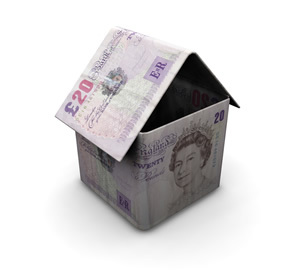 This can happen to anyone at any stage of their life, but the same advice applies, which is to try to budget and only borrow what you can comfortably afford to repay each month, which will help you to build a stronger financial profile which will open up doors to being able to obtain a mortgage and other forms of finance. If you have no credit history, this makes it hard for a lender to decide if you are a good risk or not and if you have a poor credit history where you have missed payments on an existing loan or credit card, this will also make borrowing harder to achieve. There are loans available for people with both poor credit and also no credit score and the risk will often be reflected in the interest rate that you are asked to pay. You could consider a guarantor loan where you ask someone who trusts you to use their good credit record to help you get finance. This can often be a solution for people with a poor credit rating to get their finances back on track and repair their rating by showing that they can borrow responsibly. You can often get the most out of loan products available by making sure that you find one that best matches your personal and financial circumstances. Charlie Moore has a special knack for personal finance. From budgets to investments, he enjoys writing about wise choices on money and finance blogs.